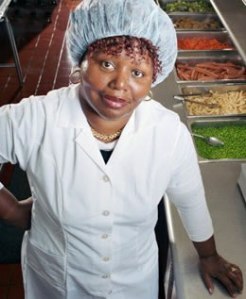 Just for you, I have channeled the lovely Jheri-curled, netted, red-aproned, orthopedic-shoed lunch lady of my youth. Thursday’s turkey became Friday’s turkey tetrazzini. Leftover bread became stuffing. Baked potatoes became mashed potatoes. I distinctly remember one episode when our county ran out of ketchup. In order to quell a revolution, the lunch ladies made their own. It was terrible, but they didn’t back down from a challenge or believing that anything that came from a factory couldn’t be made in a kitchen. Likewise, I am challenging people to pay more attention and throw away less. Before something goes bad, if you won’t use it for its intended purpose, change it into something you will use. And yes, I have used every single lunch lady trick that follows! Sausage–I skip the casing part and either make them into patties, compacting them in my hand and cooking in a pan or on a baking sheet in the oven; leave the mixture ground and using it like ground meat; or molding it around on a wooden skewer–this is also a great way to make chicken or pork satays. You can serve this all-American country breakfast sausage with eggs or pancakes. However, it’s just as appropriate as a flavoring for bean or rice dishes or as part of a poultry stuffing. You can make 7 to 8 1/2 pound portions from the sausage as well. 1. Boil down cider in nonreactive saucepan almost to syrup, 2 to 3 tablespoons. Let cool and set aside. 2. (See illustrations 1 – 4 below): Skin chicken thighs and set skin aside to be processed separately from meat. Debone chicken and dice into 1-inch pieces to yield about 3 1/2 pounds meat. Snip skin into 1-inch pieces. Freeze separately for 15 minutes. 3. (See illustrations 5 – 6 below): Process the meat in 1-pound batches into 3/8-inch pieces. Do not overprocess the meat. Remove and set aside in large bowl. Process the skin into 1/8-inch pieces (the fat should be fairly smooth). Pick through and discard any large pieces. 4. Add cider, skin, and remaining ingredients into large bowl containing processed chicken meat. Blend thoroughly but gently with hands. (Don’t overmix, or the fat will melt. There should be some particle definition when done.) Fry a small patty until done. Taste and adjust seasonings. 5. Divide sausage into 1/2-pound portions, wrap tightly in plastic or aluminum foil, and refrigerate or freeze for later use. Or, stuff sausage into casings, (see illustrations 7 – 11 below): Place sausage mixture into large pastry bag. Pull casing over the end of the bag, leaving 3-inches dangling. Knot dangling end closed. Squeeze meat into all but the last 3 or 4 inches of casing. Twist closed. Pinch casing between thumb and forefinger at 5-inch lengths and repeat along length of casing. Tie pinched areas with extra casing or kitchen twine. Carefully pierce each link with very slender pin to eliminate air bubbles. Cut in between links keeping a knot with each link. Sausage can be refrigerated 2 days or frozen several months. Leftover bones? Try making stock! 1. Heat oil in large stockpot over medium-high heat until shimmering; add onion and cook until slightly softened, 2 to 3 minutes. Transfer onion to large bowl. Brown chicken in two batches, cooking on each side until lightly browned, about 5 minutes per side; transfer to bowl with onions. Transfer cooked chicken to bowl with onion. Return onion and chicken to pot. Reduce heat to low, cover, and sweat until chicken releases its juices, about 20 minutes. Increase heat to high; add boiling water, salt, and bay leaves. Bring to boil, then reduce heat to low; cover and simmer slowly until stock is rich and flavorful, about 20 minutes, skimming foam off surface, if desired. We like to use whole chicken legs because they have great flavor and are cheap. Some smaller slow cookers can only accommodate 8 cups of water for this recipe. 1. Heat the oil in the pressure cooker over medium-high heat until shimmering. Add the onion and cook until well browned, about 5 minutes. Add the chicken legs, thighs, salt and pepper to taste, water, and bay leaves. 2. Lock the lid in place and bring to high pressure over high heat. Cook for exactly 45 minutes, adjusting the heat as necessary to maintain high pressure. 3. Remove the pressure cooker from the heat. Allow the pressure to naturally release for 15 minutes, then quick release any remaining pressure. Carefully remove the lid, allowing the steam to escape away from you. Strain the stock into a large container. Allow the broth to settle for 5 minutes, then use a wide spoon to skim the fat off the surface. Vinegar-best with dry white wine–Add 1/4 cup vinegar into the wine bottle. Loosely cork the bottle and leave in a dark, dry place for two weeks. This recipe is typical of granitas made from liquids rather than purees. Fresh-squeezed juice and good quality sparkling wine will make all the difference in the final product. 1. Whisk orange juice and sugar in large bowl until sugar dissolves. 4. Just before serving, place a single layer of frozen cubes in workbowl of food processor fitted with steel blade. Pulse 10 or 12 times or until no large chunks of ice remain. Scoop crystals into individual bowls. Repeat with remaining ice cubes and serve immediately. Start off with 1 ear per cup and cook it on medium-high heat until water goes down to just under half. Add a little salt and garlic or onion for deeper flavor. Surprisingly good and worth the strange looks as you hoard corn cobs off your loved ones’ plates at a cookout. Cucumbers, carrots, onions, radish, beets–make pickles! I don’t know how people got so brainwashed into thinking pickles were hard to make. Save cucumbers from a salad. When we have a huge salad I always try to take out the cucumbers and tomatoes to keep the greens from getting soggy. This is a good afterlife for the cucumbers. The tomatoes may get roasted or thrown into a sauce. DIY pickles–this recipe looks like a crowd-pleaser. For Asian-inspired slightly sweet pickles, leave out the dill, slice some ginger, and use unsweetened rice vinegar instead of cider vinegar. Try adding some radishes for pretty, pink pickles. Parsley, mint, basil and cilantro. If you’re serving a complex dish like a saucy meat or vegetable pasta or an elaborately filled omelette, this basic recipe is the one to use. Adjust oven rack to lower center position and heat oven to 325 degrees. Mix bread crumbs with oil and salt to coat evenly. Spread in single layer on small baking sheet. Bake crumbs, stirring once after 5 minutes, until golden brown, about 12 minutes. Sprinkle warm crumbs over finished dish, allowing 2 to 3 tablespoons per person. Other leftover bread uses include Bread pudding and bread salad aka panzanella. Despite its most humble origins, this salad is delicious. The bread must be coarse peasant bread or any sturdy Italian-style bread. Other breads will not hold up to being dressed with oil and vinegar and combined with tomatoes, which are full of water. Also, don’t use sweetened breads. If the tomatoes are ripe and the olive oil is particularly flavorful, you can omit the vinegar, moistening the bread with a tablespoon or two of water instead. Lots of eggs in the carton? Try :Quiche, flan and frittata (a baked omelet). An oven-safe nonstick 10-inch skillet is a must for this recipe. Because broilers vary so much in intensity, watch the frittata carefully as it cooks. This recipe makes two very generous portions; leftovers can be wrapped and refrigerated—they make a great sandwich filling. 1. Adjust oven rack to upper-middle position, about 5 inches from heating element; heat broiler. Whisk eggs, half-and-half, 1/4 teaspoon salt, and 1/8 teaspoon pepper in medium bowl until well combined, about 30 seconds. Set eggs aside. and almost tender, about 3 minutes. Add shallot and ham and cook until shallot softens slightly, about 2 minutes. Stir Gruyère into eggs; add egg mixture to skillet and cook, using spatula to stir and scrape bottom of skillet, until large curds form and spatula begins to leave wake but eggs are still very wet, about 1 minute. Shake skillet to distribute eggs evenly; cook without stirring for 30 seconds to let bottom set. 3. Slide skillet under broiler and broil until frittata has risen and surface is puffed and spotty brown, 1 1/2 to 2 minutes; when cut into with paring knife, eggs should be slightly wet and runny. Remove skillet from oven and let stand 2 to 3 minutes to finish cooking; using spatula, loosen frittata from skillet and slide onto platter or cutting board. Cut into wedges and serve. Vary the amounts of sugar and lemon juice depending on the ripeness of the fruit. Line rimmed baking sheet with parchment paper; arrange banana and berries in single layer on baking sheet. Freeze fruit until very cold, but not frozen, about 10 minutes. In blender, puree cold fruit, milk, juice, salt, 1 tablespoon sugar, 1 teaspoon lemon juice, and ice until uniformly smooth, 10 to 15 seconds. Taste for sugar and lemon; if desired, add more sugar or lemon and blend until combined, about 2 seconds longer. Serve immediately. Make sure the melon is absolutely ripe, if not overripe. Underripe melon yields bland smoothies that taste, if anything, like cardboard. Vary the amounts of sugar and lemon juice depending on the ripeness of the fruit. Jam or marmalade from leftover fruit is easier than you might think. Try my Blueberry Goodness with the homemade ricotta. Achingly good! Heat all ingredients over high heat until mixture reaches a rolling boil. Then simmer all ingredients on low/low-medium heat for 30-40 minutes in a medium (3-quart) saucepan, the heavier the better. Other leftover fruit ideas: Sorbet, Cake, muffins and fruit crisps. Got milk? Make some ricotta cheese before your milk goes bad. Delicious with blueberries and lemon marmalade or in lasagna and tube pastas. Other ideas for lots of milk: Pudding and White sauce–Stop with white sauce for a great veggie sauce or make a velvety cheese sauce for some creamy mac ‘n’ cheese. Kinda special dinner? Make mac ‘n’ cheese. If you don’t do dairy, use olive oil instead of butter, and use vegetarian broth or vegan bouillon cube (or use chicken) with 1 1/2 cups water for 1 tablespoon oil and 1 tablespoon flour. It won’t be super thick, but I like it like that. Cream sauce: First, make a roux. Use a 1:1 ratio. If you use 1 tablespoon of UNSALTED butter, use 1 tablespoon of flour. Put butter into a pan, and after it sizzles, bubbles and it’s turning dark yellow, add your flour. If you want to add fresh garlic, put it in now. Using a wooden spoon, stir ingredients until they make a thick paste. The color should be light brown. If you want to add fresh herbs, put them in now. Stir a little. In terms of ration, the liquid will be about 1 cup per tablespoon flour. Add cream, evaporated milk, milk, soy milk, bouillon cube and liquid, a can of tomatoes, chopped veggies, etc. until the sauce bubbles and gets thick again. If you’re adding cheese, use very small pieces, either grated, finely chopped, or small chunks in the food processor and–this is important–wait until you’ve turned off the heat. Dirty little secret: I use undiluted evaporated milk instead of cream quite often. Avoid lemon juice, vinegar, etc. if you’re using this. Use lemon zest, lemon pepper or lemon extract, in a pinch. What variation would I make? Anything goes, but I usually do cream (evaporated milk), diced tomatoes, some of the blackening mix, and lemon zest for blackened tuna. This is also the sauce recipe for mac ‘n’ cheese. For 12-16 ounces of sauce (1 1/2- 2 cups), use about 1/3 cup of cheese. It doesn’t take much. That’s for basic cheese sauce. For mac ‘n’ cheese with oven time, 1/3 cup cheese. Pour it over cooked noodles and sauce, then put it in the oven for 15 minutes. This is for 350 degrees. If you already have something in, let’s say, at 425 degrees, reduce time to 9 minutes, etc. Remember, everything is cooked but the cheese; you just want people to think you struggled. I prefer to leave this uncovered in the oven. Smoked salmon and cream cheese left over? Make these croquettesthat have gotten rave reviews in our home.